On Wednesday, November 21, 2018, at 16:30, a presentation of the Italian translation of the book "Josyph Slipyi. Memoirs" - Josyf Slipyj, Memorie - A cura di Iwan Dacko, Alberto Di Chio, Luciana Mirri - Roma - Leopoli 2018 will take place at the “Centro Il Messaggio dell'Icona” (Borgo Pio 141 - 00193 Rome, Italy). 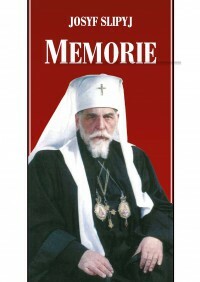 This book is intended not only to introduce the personality and life of the Patriarch Josyph Slipyi to the Italian-speaking audience but also to help discover the history of the Ukrainian Greek Catholic Church. The period of his life between 1945 and 1963 is the least known since His Beatitude Josyph did not like to talk about his imprisonment. Publishers hope that in this way the reader will better understand why the Ukrainian Greek Catholics consider him to be a Confessor of faith in Christ and a true advocate of the existence of his Church in an extremely difficult historical period. It should be noted that in Ukraine the book was published in three editions, in Italian, it saw the world for the first time. The English edition of these Memoirs should be published shortly.